We assume the following names, passwords and IP addresses. Don't forget to use the ones that correspond to your case instead. Note: We'll use scp to copy files your local machine to the new server. If you're used to working with an FTP/SFTP client, you may use it instead (remember that Moss will set up your new server and therefore you can upload files using SFTP but not FTP, due to security reasons). DNS records have a lifetime (TTL = Time To Live) that determines for how long a name resolution may be cached. To accelerate the migration process, we recommend that you decrease the TTL of the record that resolves mysite.com to address 10.0.0.1down to the minimum allowed by your DNS provider. In this way, your users will access your site on the new server sooner when you update mysite.com to point to IP address 10.0.0.2. In the figure below you can see how to update the TTL in Cloudflare. Any other DNS provider will provide you with a similar panel where you'll be able to set the TTL. Just use the minimum value that your provider allows. Once you apply the change, you should wait for as long as the previous TTL before going on. In this way you can be sure that previous cache entries with the old TTL expire and the new TTL is the one being used. Now we need to get a copy of the files and database of your current WordPress site. There are many ways to achieve this, but in this article we'll take advantage of a well-known WordPress plugin: Duplicator (note that we don't have any affiliation with such plugin). 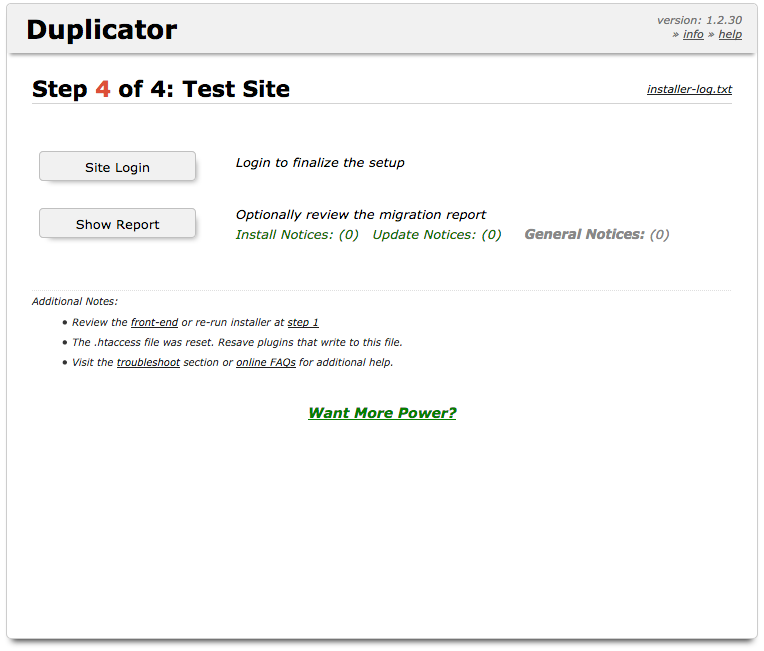 Let Duplicator scan your website. Click 'Build' when the process is done. You'll get two files on your local computer: installer.php and a zipped file. 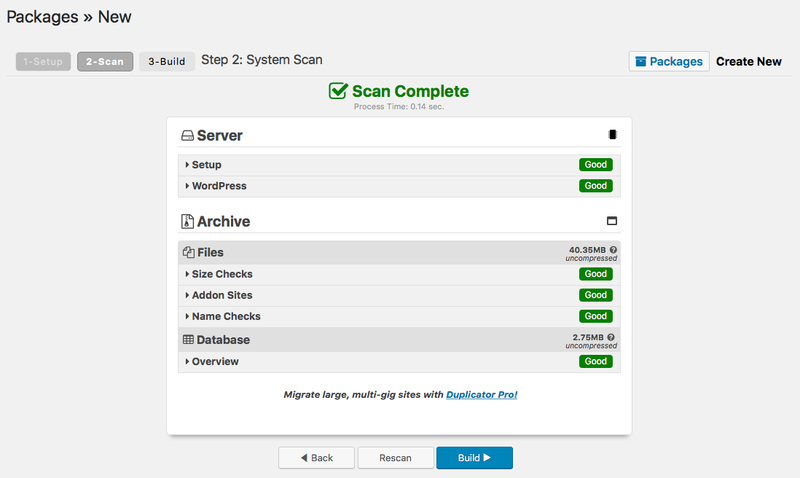 Later on you'll upload these files on your new server to start the migration process. If you haven't done it yet, log into Moss and create the new server. To do this you need to be the admin of your organization. 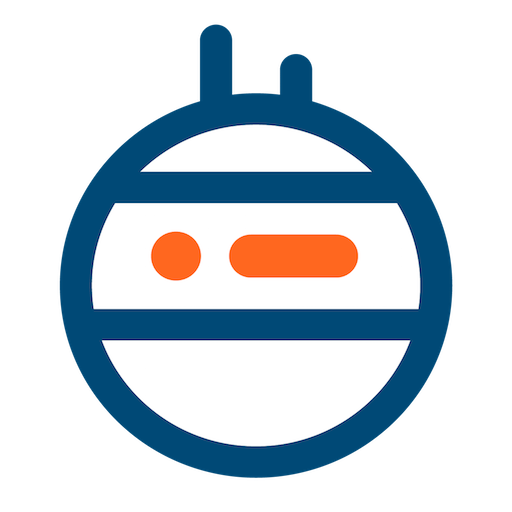 If you're a developer, tell your admin to add the server to a workspace where you belong. Log into Moss and create your WordPress site. Don't check the Install WordPress box, since we'll restore your previous WordPress installation on this server. 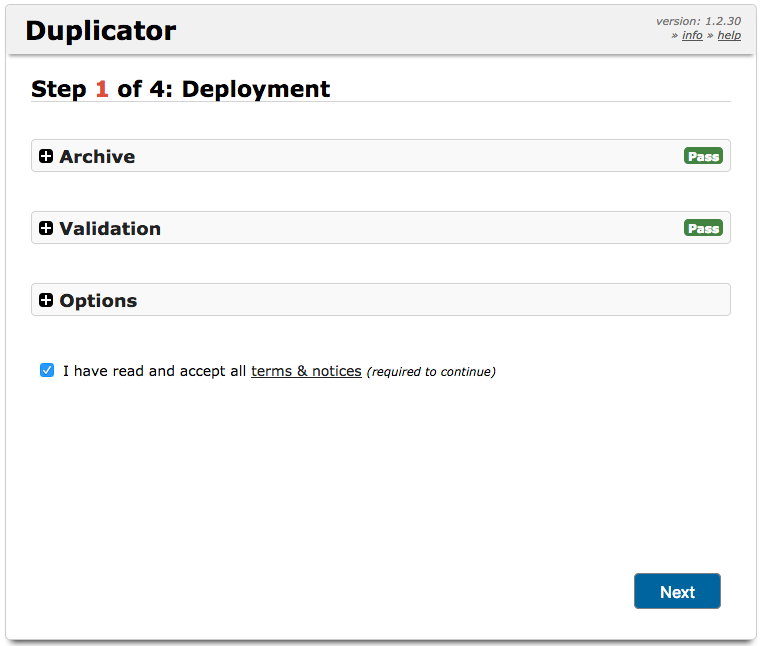 Now we'll deploy Duplicator's installer and archive on the new server. 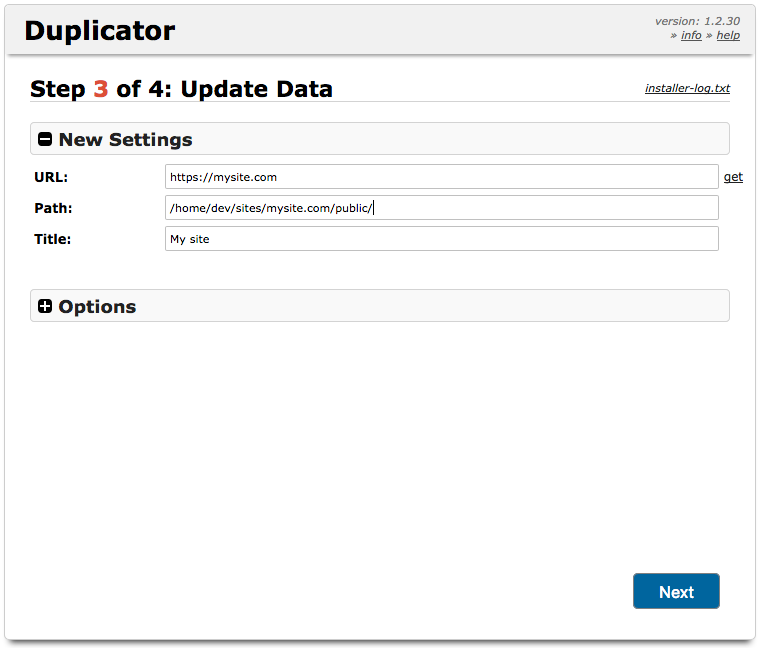 In order to actually restore your website, you have to run Duplicator's installer from your browser and complete the steps you'll find there. However, mysite.com keeps pointing to your old web server, so we have to trick your browser to visit your new server. Such file is /etc/hosts on Linux and Mac OS X, and c:\Windows\System32\Drivers\etc\hosts on Windows. This article from Rackspace explains this file in greater detail. Once you've saved the file, open your favorite browser and visit http://mysite.com/installer.php. In case you chose the Let's Encrypt certificate option when you created your site with Moss, your browser will warn you that the certificate isn't valid. This is expected, since DNS records keep pointing to your old server and Let's Encrypt cannot validate the authenticity of the certificate request. Just ignore the warning and complete the restoration wizard. Finally, update the records in your DNS provider so that mysite.com resolves to the IP address of your new server 10.0.0.2. In the figure below you can see how to update a type A record in Cloudflare. 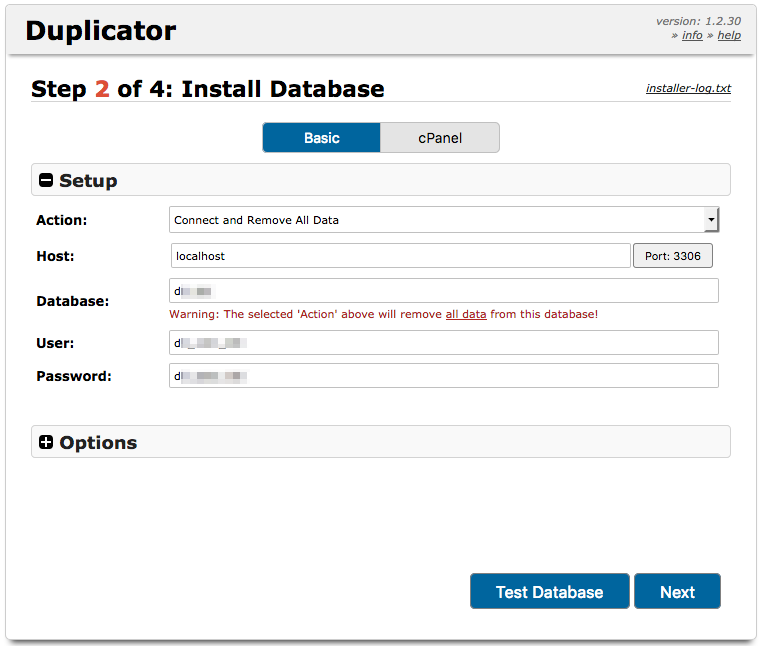 Any other DNS provider will provide you with a similar panel where you'll be able to change your records.